Ok, so time to brag a little. 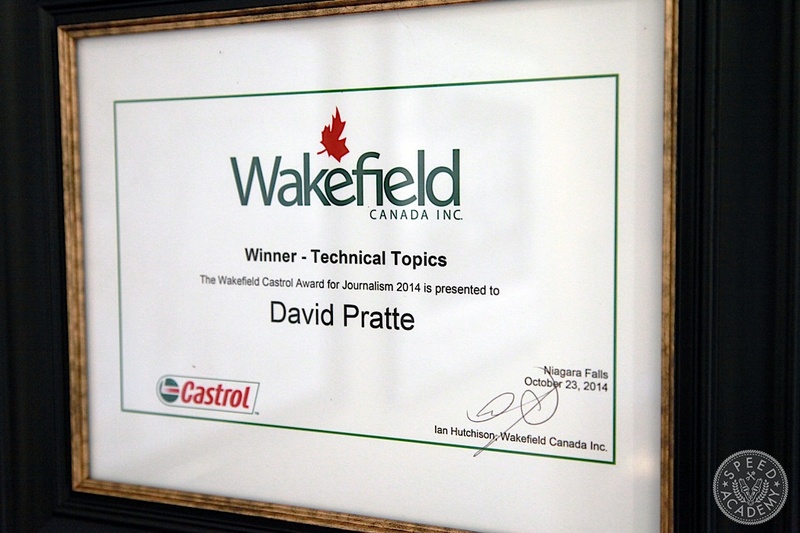 I won the Wakefield Castrol Award for Journalism on Technical Topics, an Automobile Journalists Association of Canada (AJAC) award created in 1997 to recognize excellence in automotive journalism and presented by Wakefield Canada Inc., exclusive marketer/distributor of Castrol lubricants in Canada. 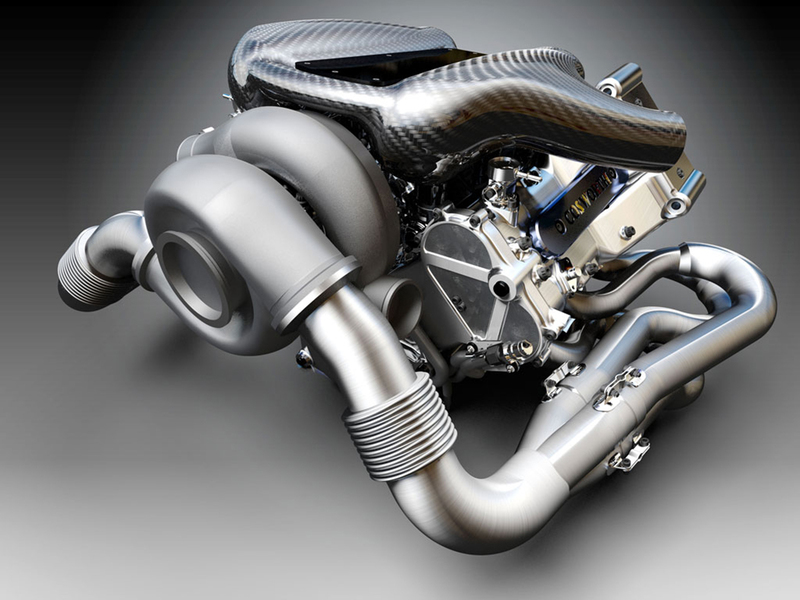 The award was based on a story I wrote for Modified Magazine on the new-for-2014 turbocharging systems in Formula 1 and how they’re linked to an innovative thermal energy recovery system (TERS). Rather than letting that story languish on the defunct Modified Magazine website, I’m going to recycle it here. Lets call it a SERS approach to writing, for Story Energy Recovery System. With lines like that, it’s hard to believe I haven’t won other writing awards, I know. 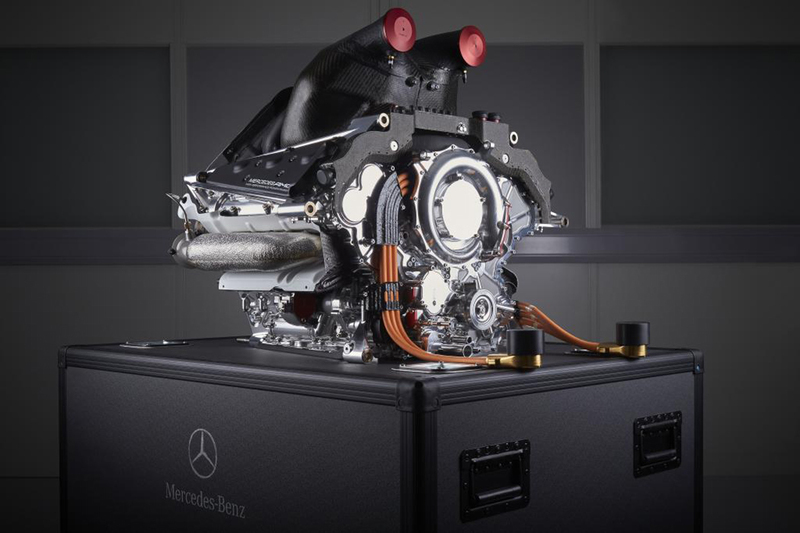 But rather than just straight plagiarizing myself, I’ve updated parts to reflect what we’ve learned about these new turbocharged F1 engines during their first season of use (I wrote the original back before the season started), with particular attention paid to the Mercedes power unit, since they completely dominated F1 this year for reasons directly related to their unique approach to the turbocharging system. Ok, so lets get down to the business at hand. First of all, it’s worthwhile noting that the switch to small displacement turbocharged V6’s in Formula 1 didn’t happen by accident. 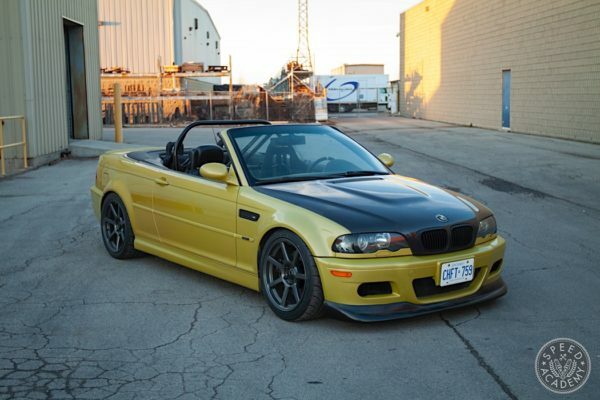 It’s clearly a reflection of the ongoing shift within the auto industry, where everything from Germany luxury barges to Korean grocery getters are being equipped with smaller displacement and highly efficient turbocharged engines. 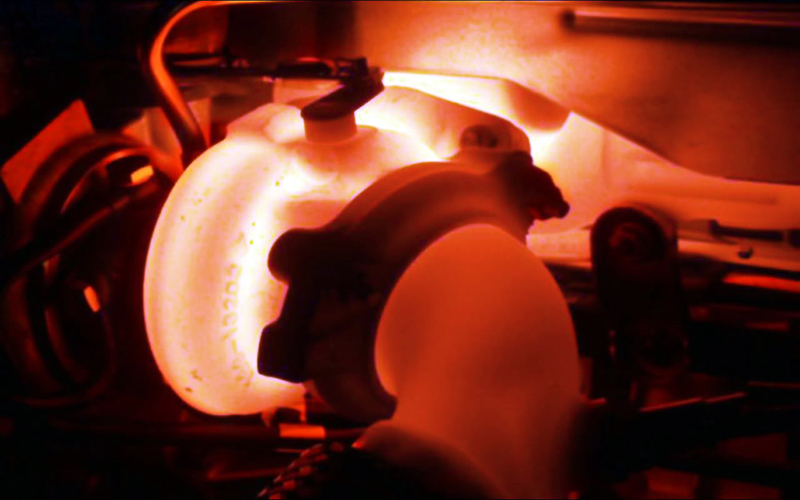 So the switch in F1 to a 1.6-liter turbocharged V6 engine that produces about 550 to 600 horsepower, the so-called ‘power unit’ being completed by two electric motor-generators designed to harness (for later release) energy released from the braking system (KERS) and the exhaust system (TERS) and bringing total power output up to about 750-hp, really shouldn’t come as a surprise, especially when you consider the fact that F1 and its governing body (the FIA) want to put a greener face on the sport and prove its relevance by promoting the production of cutting edge technology with real world applications. 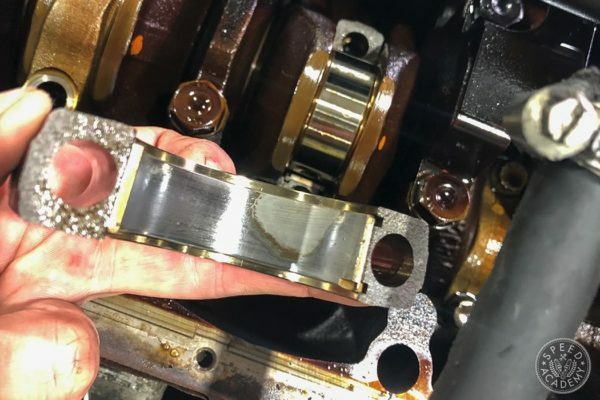 Before taking a closer look at how the new breed of F1 turbochargers and related TERS that are revolutionizing the way we think about forced induction and hybrid-electric technology, it’s worth noting that energy is never lost, but rather converted to another form. 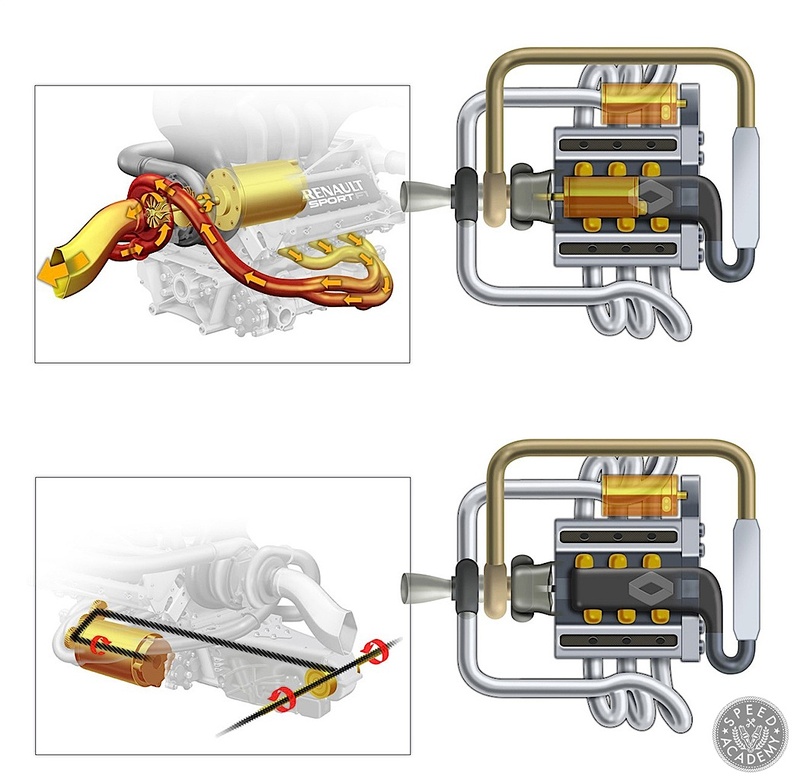 Given that as much as 75% of the energy generated by a combustion engine is converted to heat rather than horsepower, most of which is in the form of hot exhaust gases, it only makes sense to look for ways of harnessing the energy otherwise released out the exhaust pipes and transmitting it to the drive wheels. 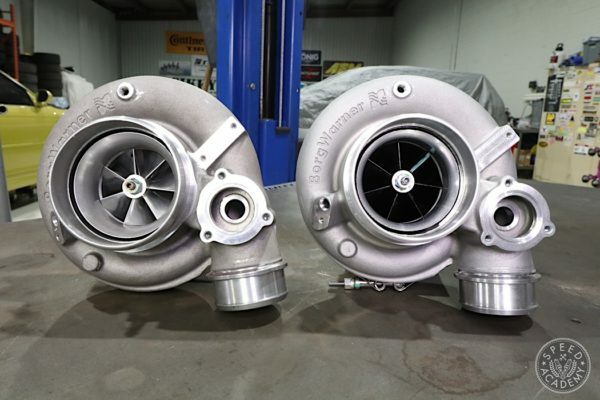 Of course that’s exactly what a turbocharger is designed to do (increasing engine efficiency and output by compressing the air intake charge via a turbine that’s powered by exhaust gases), and although the move in F1 to a hybrid turbo system that recovers exhaust gas energy not utilized by the turbocharger is an indisputably brilliant idea, it’s not an entirely new one. Truth be told, electric turbo-compound engines have been around since WWII on certain airplane engines and even diesel truck engines, the advantages of which include being able to release the recycled energy in a controlled way, meaning it can be used when it’s most needed and in the process increase fuel efficiency and power output. 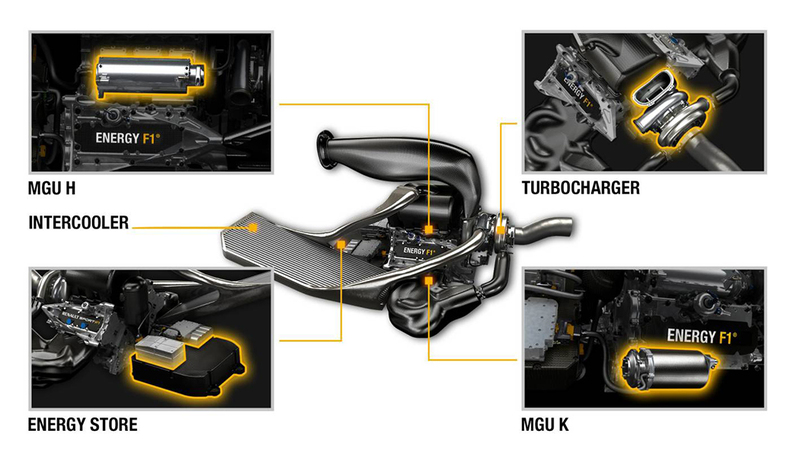 What’s truly unprecedented about F1’s approach to the compound engine is the use of multiple hybrid systems, meaning a direct link between the turbocharger itself and the TERS electric motor-generator as well as a link to the KERS system via the shared battery pack and motor-generator control unit (MGU). Great article. 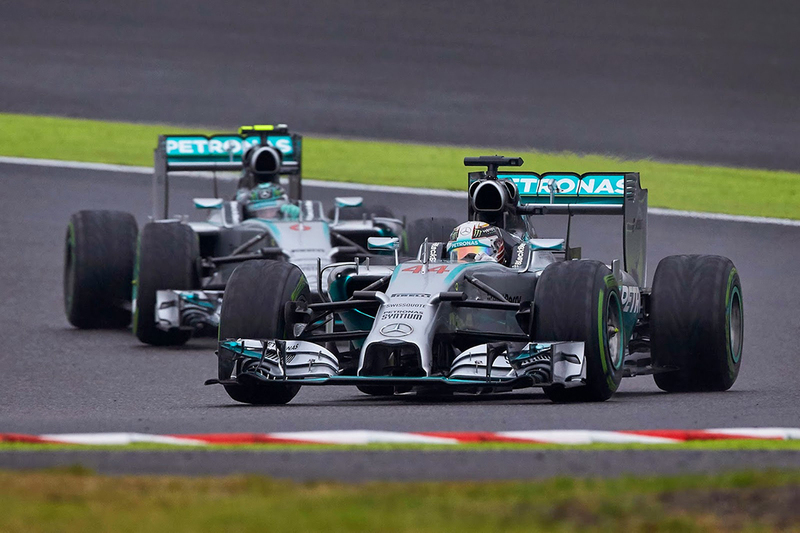 As someone who loves F1, it’s refreshing to see an article such as this and it’s correlation to everyday to culture. 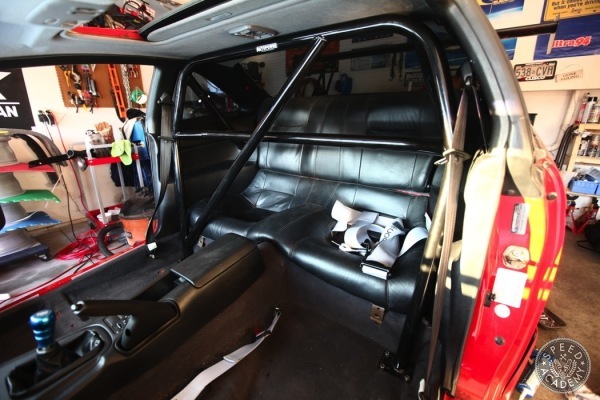 The only downside to this is the massive jump in complexity and the added variable of what could go wrong with your engine unit. Forget being a mechanic; you have to be an electrical engineer now as well. Exactly! 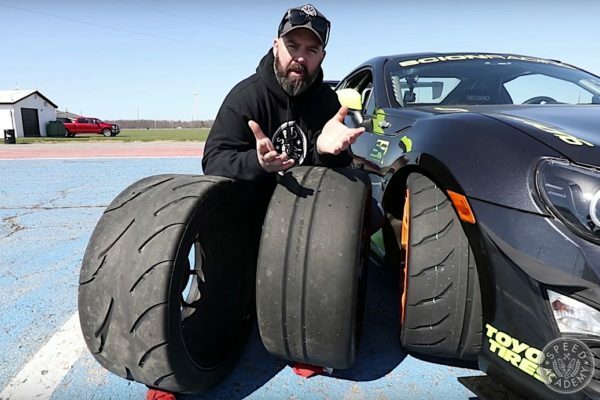 You have to know so much more then just how the mechanics of engines work these days. It’s daunting to think what the future holds if the complexity level is already so high right now.